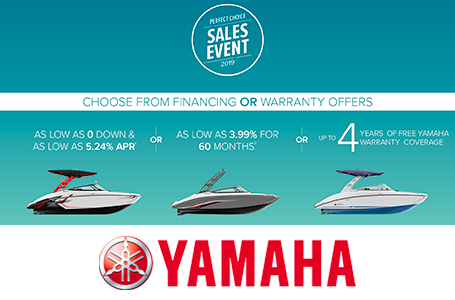 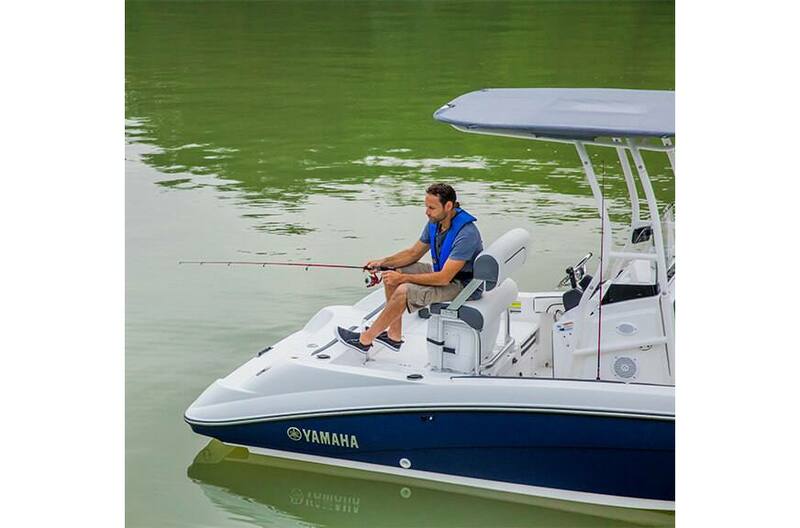 T-Top: Exclusive to the Sport model, the T-top provides shade and style yet is easily removable for garage storage. 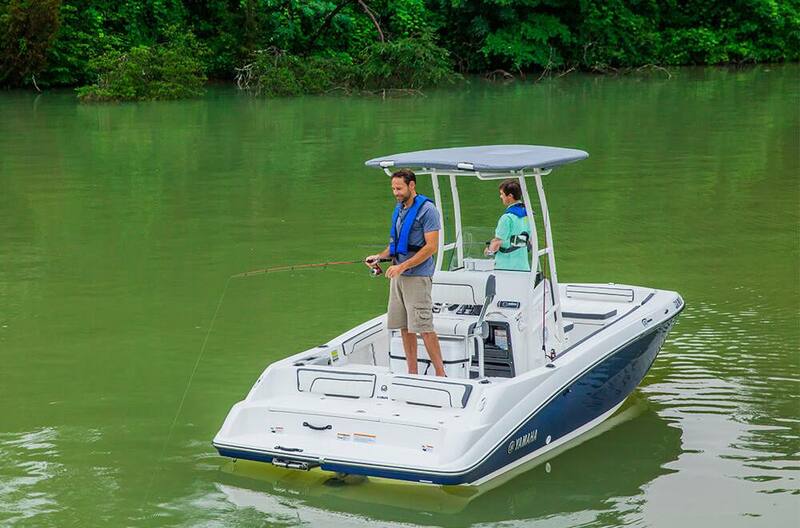 Helm: The FSH™ helm was designed for customization so every boat fits its owner. 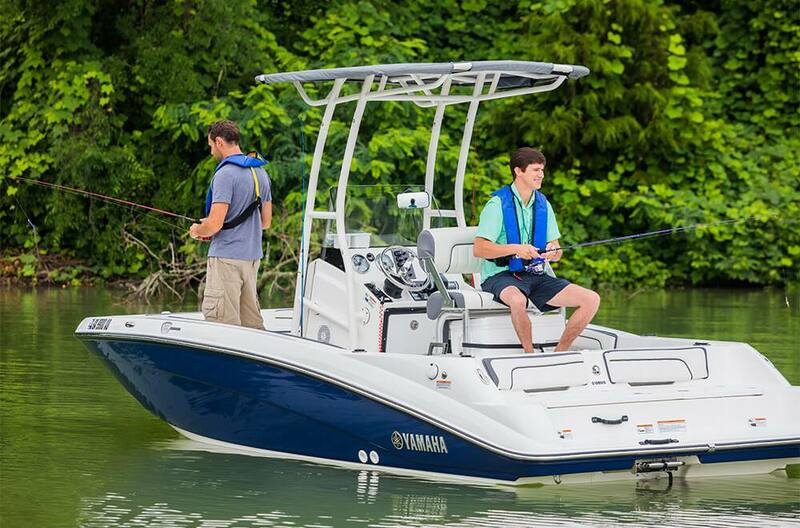 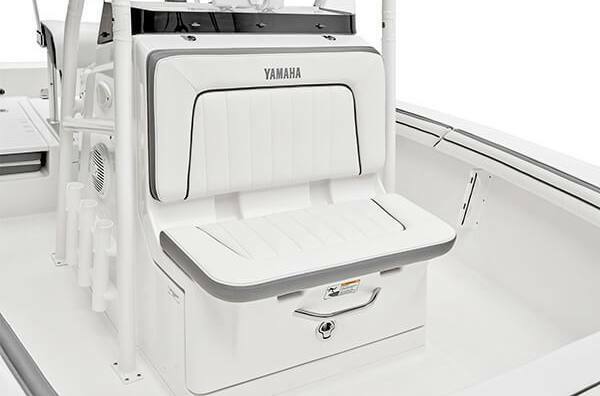 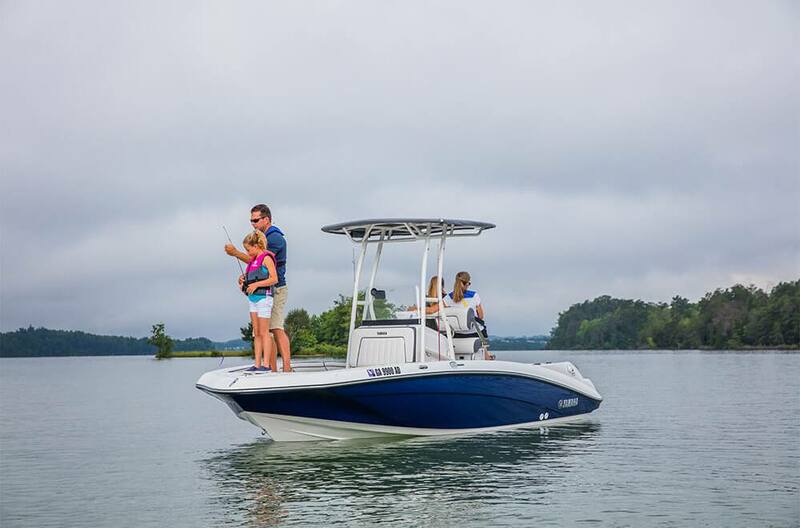 Leaning Post: With a convertible backrest on Sport and Deluxe models, the leaning post works as both the captain's spot or the perfect fishing spot. 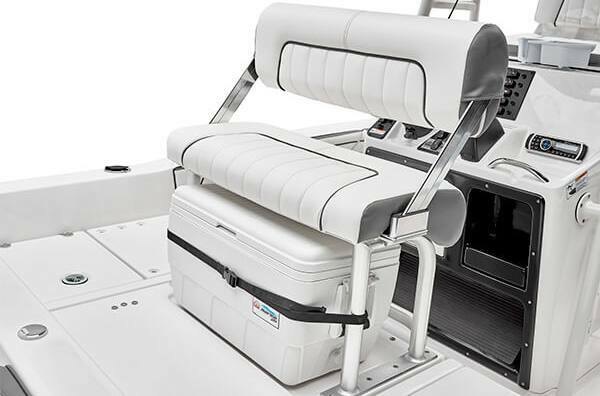 Lockable Helm Storage: Plenty of storage options including a lockable glovebox as well as a 12V outlet, USB and auxiliary plug-in. 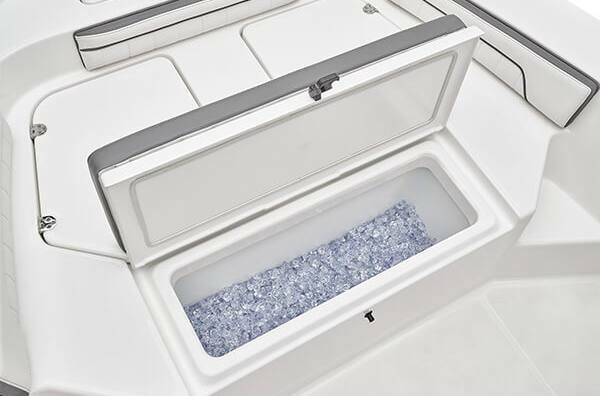 Lockable Console Storage: This large area ideal for changing or head storage comes with a curtain in the Sport and Deluxe models. 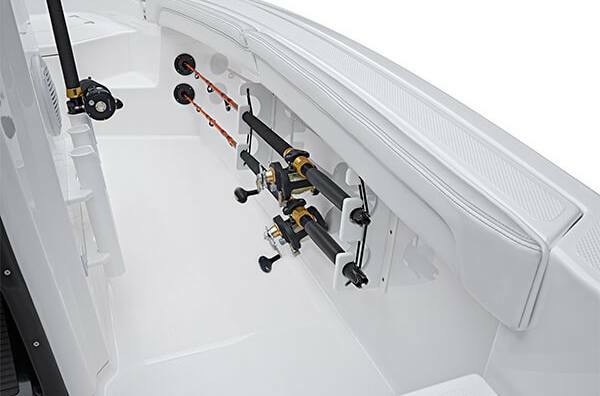 Side Console Rod Storage: Standard on all models, the side console rod storage keeps fishing rods ready at all times. 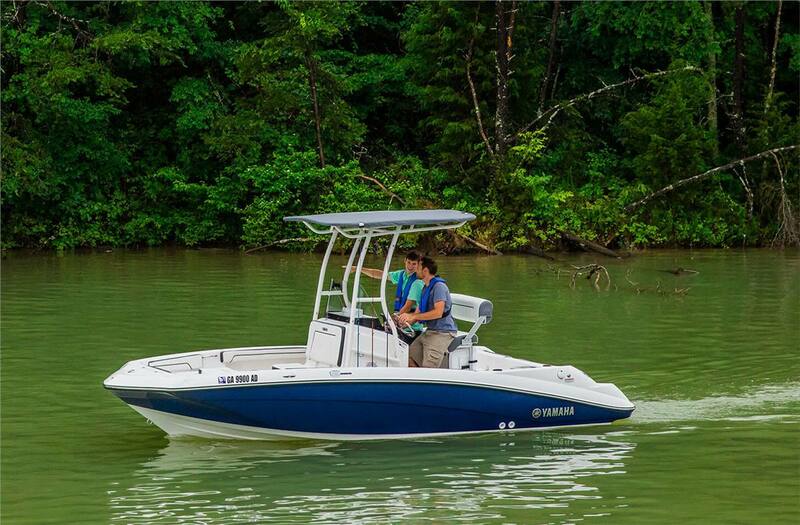 Height on Trailer: 7 ft. 1 in.